Faithful to the brand’s fundamental concept of offering a different way of reading time, this collection goes even further and establishes HAUTLENCE among the most prestigious contemporary watchmaking brands. The HL2.0 models display half-trailing jumping hours  one of the special features of this second collection  retrograde minutes  a signature of the brand  and a power-reserve indicator. 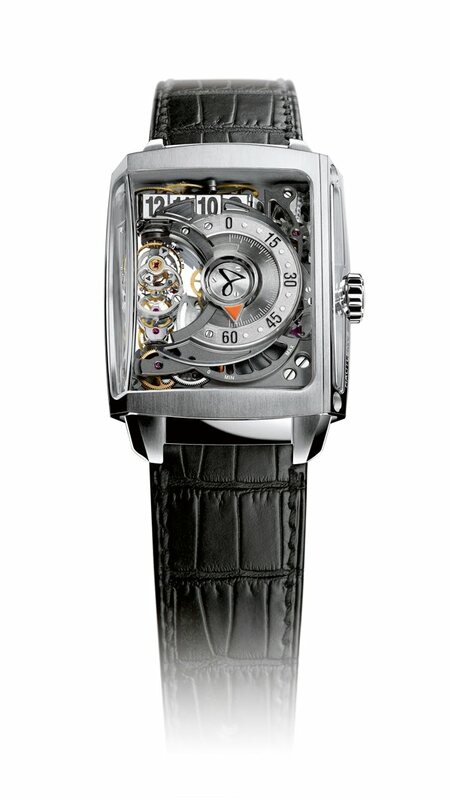 The collection also includes an automatic movement for the first time. Dial: ruthenium and rhodium-plated, black numerals and luminescent dots for readability in the dark. Strap in brown or black Louisiana alligator skin, large square scales, full wrapped, hand-stitched. 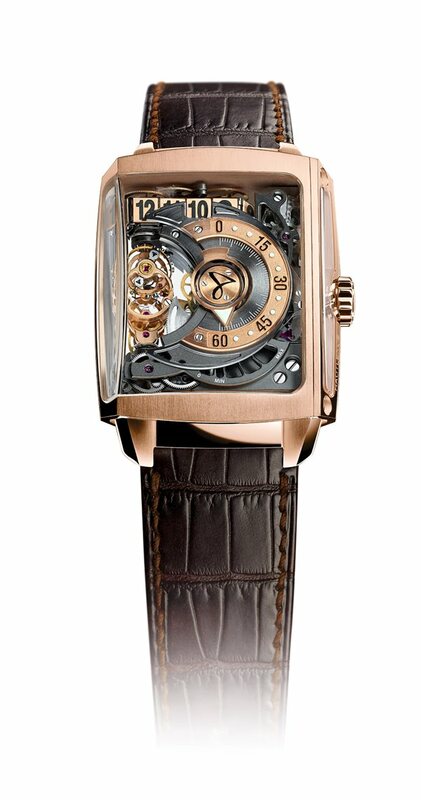 Automatic movement with oscillating weight in 18-carat 4N rose gold. 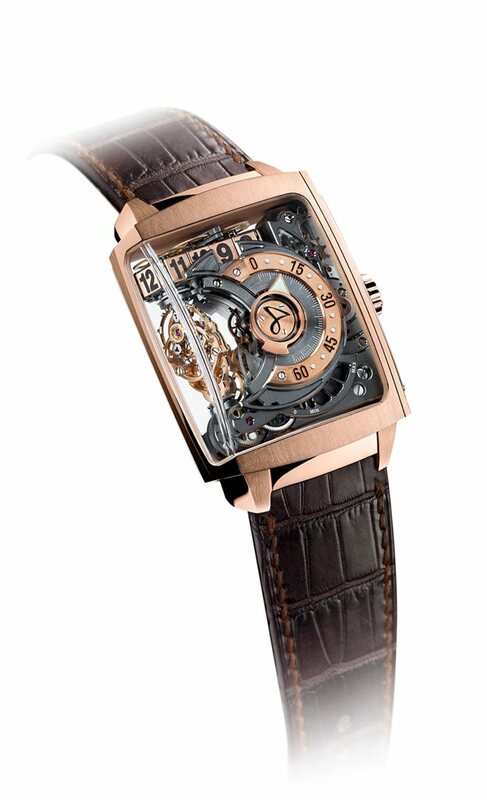 Crown: 18-carat 4N rose gold with micro-machined HAUTLENCE logo. Horns: screwed, 18-carat 4N rose gold. 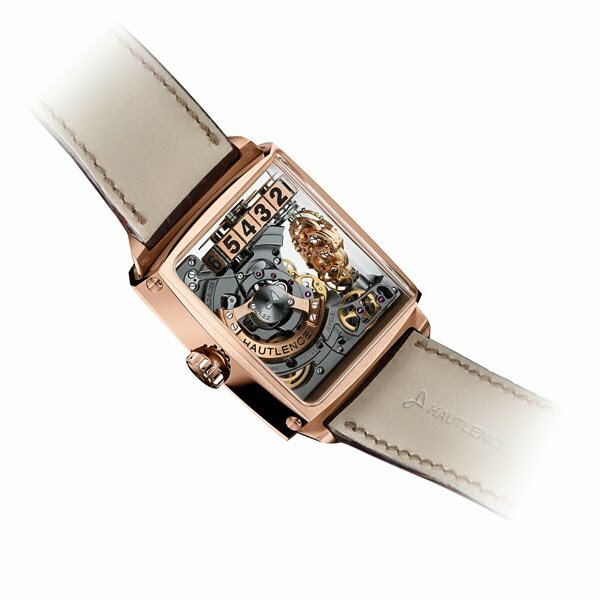 Horn and case-back screws: 18-carat 4N rose gold.